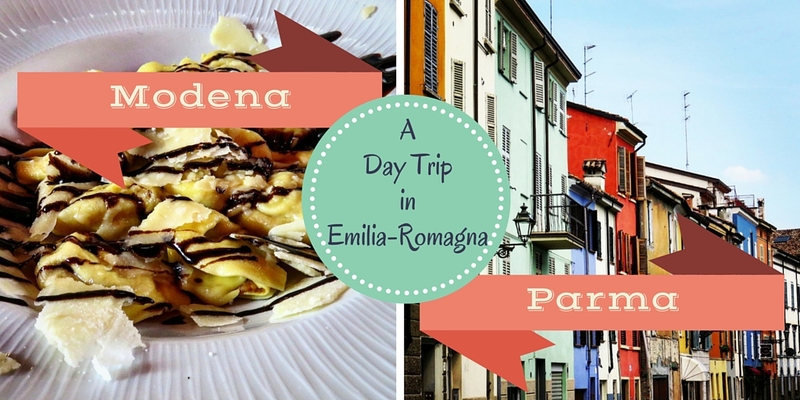 There are so many iconic Emilia Romagna destinations to explore in Italy. A day trip from Bologna to Modena to Parma packs in a ton of what Emilia Romagna is famous for: amazing food! 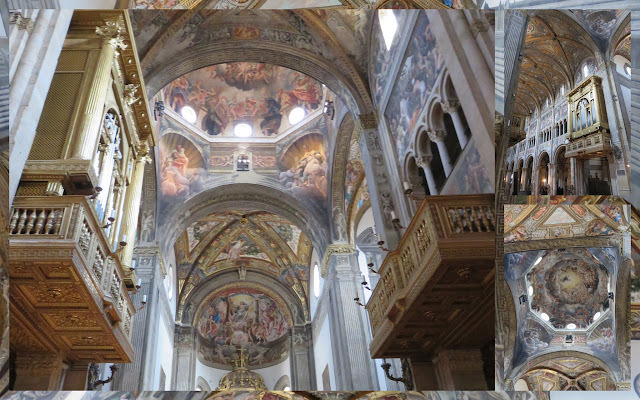 Eat your way through Modena and Parma and feed your eyes at the same time. Read on for highlights from two of Emilia Romagna’s most well-known towns. 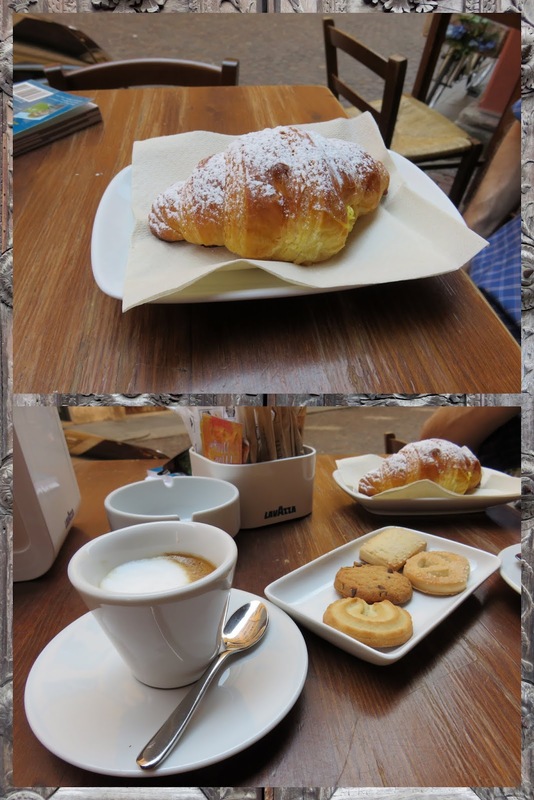 We got an early start on our day trip from Bologna to Modena so our first order of business upon arrival was a coffee and something sweet. We sat at a high table under a portico and munched on a sweet almond paste filled brioche plus some free butter cookies served with our macchiato. 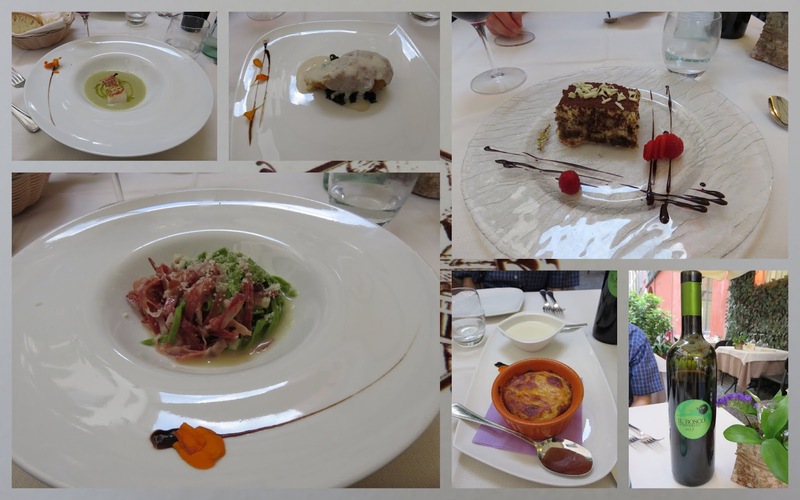 There was definitely a food theme running throughout our trip to Emilia Romagna and this was especially true in Modena. 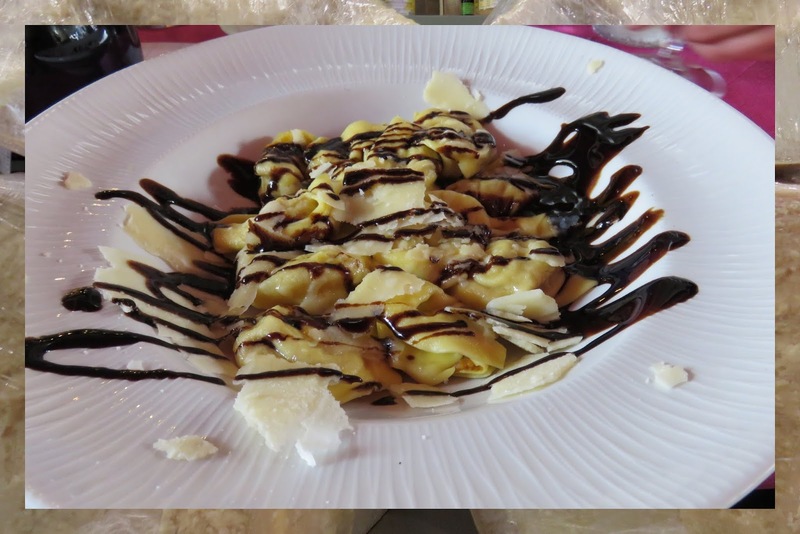 We enjoyed a plate of filled pasta with a drizzle of Modena's namesake balsamic vinegar adding just a touch of sweetness to the dish. 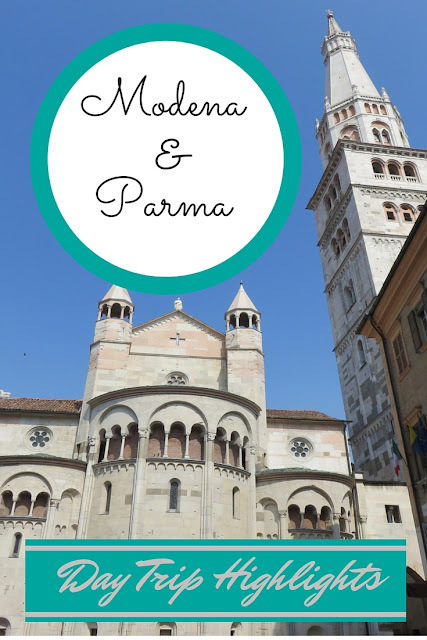 Both Modena and Parma featured medieval towers, regal government buildings and churches which added great atmosphere to our exploratory walks. 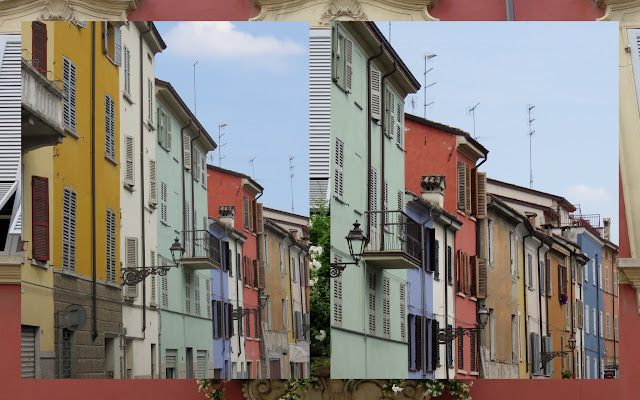 Parma in particular also features bright facades that added a dash of color to our walks. 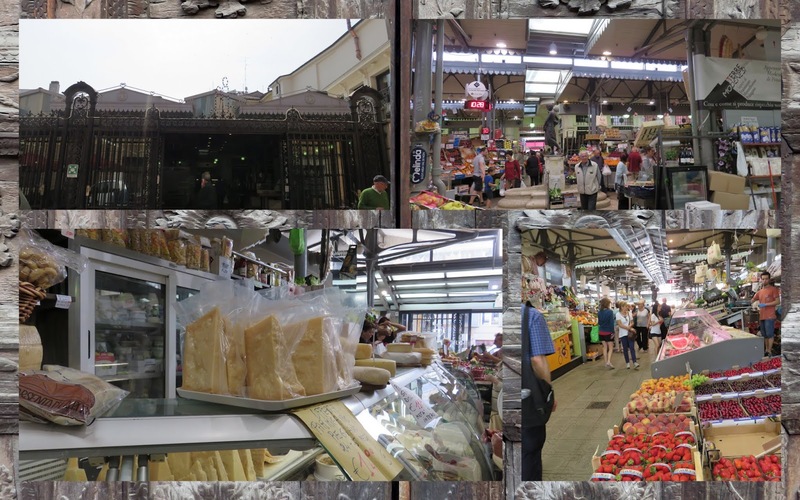 Mercato al Binelli is a famous food hall in Modena. Be prepared for sensory overload as all sorts of treats and delicacies abound. 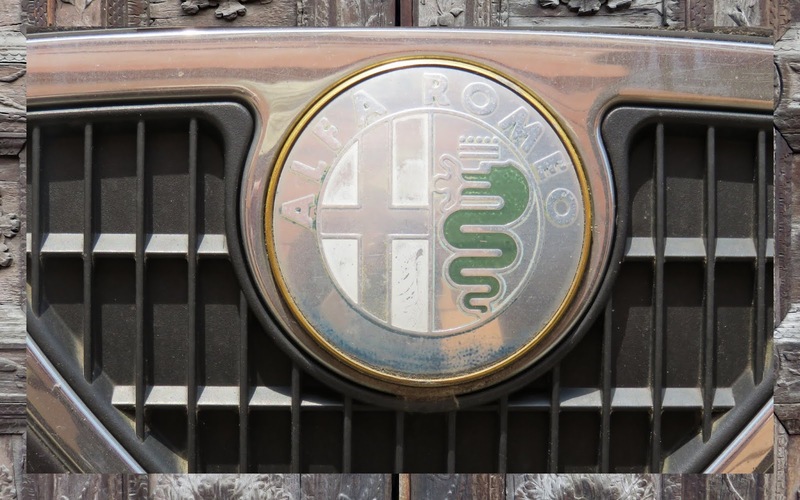 Italy is home to fast cars and Modena is home to the Ferrari Museum on the outskirts of town. We didn't have time to visit the museum but we kept our eyes open on the streets for high end cars. 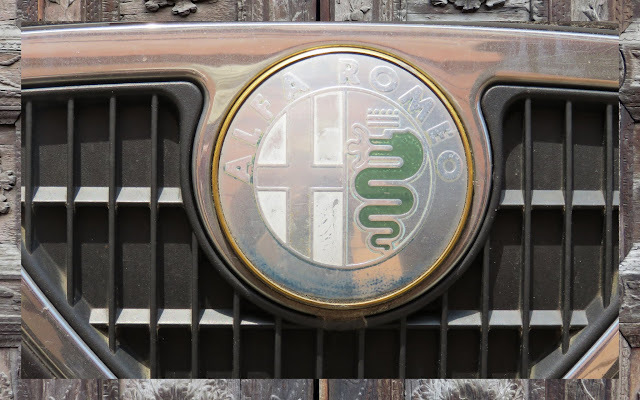 We managed to spot an Alfa Romeo. Both Modena and Parma feature grand churches but Parma's cathedral is particularly over the top with colorful frescos adorning every surface and gold accents. Beautiful! 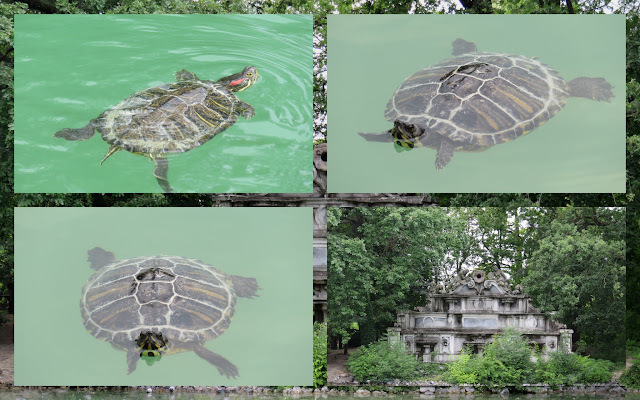 We strolled through Parco Ducale in Parma and discovered (much to our delight) a pond filled with wee turtles. 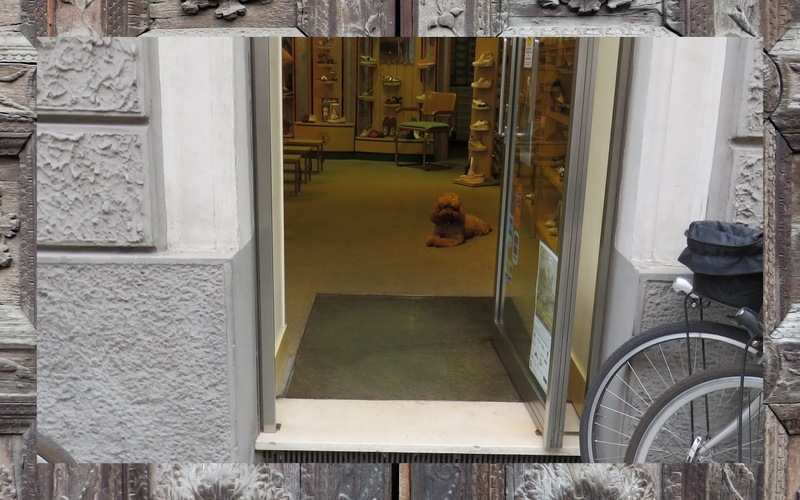 Residents of Parma seem to have a penchant for shopping and for dogs. We spotted more than one patient pooch sitting quietly which waiting for its owner to finish browsing. Emilia Romagna destinations are famous for food generally but the best food in the region can be found in Parma. We treated ourselves to dinner at La Forchetta where we dined on three courses and a bottle of wine including a lovely pasta dish mixed with ham and julienned asparagus. Amazing! 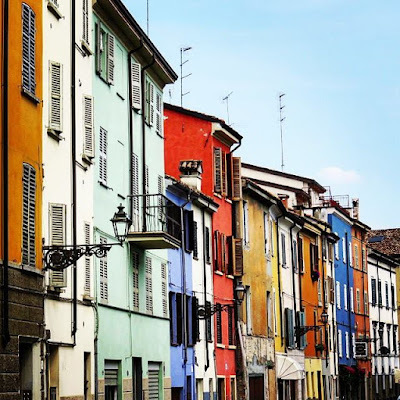 We simply love basing ourselves in a city (in this case Bologna) and then exploring Emilia Romagna's day trip destinations on a long weekend away. 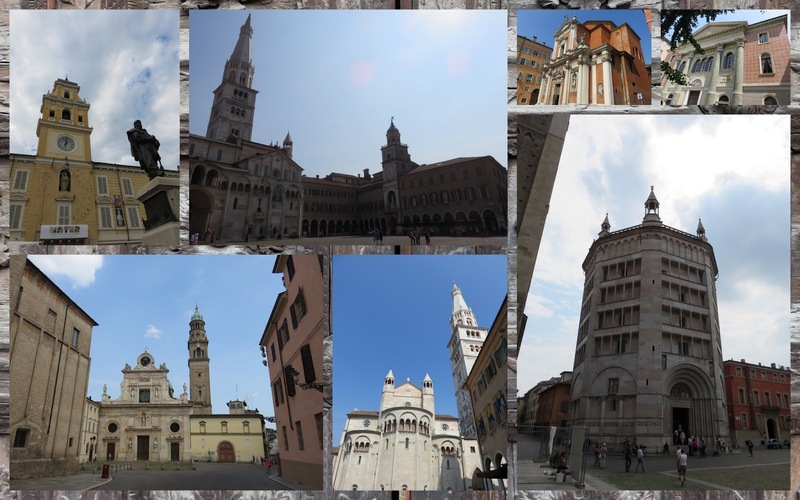 Explore Emilia Romagna destinations with a day trip from Bologna to Modena to Parma Italy.